China Eastern Airlines Corporation Limited (simplified Chinese: 中国东方航空公司; traditional Chinese: 中國東方航空公司, colloquially known as 东航/東航) is an airline headquartered in the China Eastern Airlines Building, on the grounds of Shanghai Hongqiao International Airport in Changning District, Shanghai, China. It is a major Chinese airline operating international, domestic and regional routes. Its main hubs are at Shanghai Pudong International Airport and Shanghai Hongqiao International Airport, with secondary hubs at Beijing Capital International Airport, Kunming Changshui International Airport and Xi'an Xianyang International Airport. China Eastern Airlines is China's second-largest carrier by passenger numbers. China Eastern and its subsidiary Shanghai Airlines became the 14th member of SkyTeam on 21 June 2011. In 2014, China Eastern Airlines carried 83.08 million domestic and international passengers with an average load factor of 73%. The parent company of China Eastern Airlines Corporation Limited (SSE: 600115 SEHK: 0670 NYSE: CEA) is China Eastern Airlines Group, a state-owned enterprise that was supervised by State-owned Assets Supervision and Administration Commission of the State Council. The old logo of China Eastern Airlines. 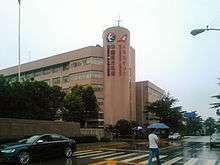 China Eastern Airlines was established on 25 June 1988 under the CAAC Huadong Administration. In 1997, China Eastern took over unprofitable China General Aviation and also became the country's first airline to offer shares on the international market. In 1998 it founded China Cargo Airlines in a joint venture with COSCO. In March 2001, it completed the takeover of Great Wall Airlines. China Yunnan Airlines and China Northwest Airlines merged into China Eastern Airlines in 2003. On 11 June 2009 it was announced that China Eastern Airlines would merge with Shanghai Airlines. The merger of China Eastern and Shanghai Airlines was expected to reduce excess competition between the two Shanghai-based carriers while consolidating Shanghai's status as an international aviation hub. In February 2010 the merger was completed. Shanghai Airlines became a wholly owned subsidiary of China Eastern Airlines. However, Shanghai Airlines retained its brand and livery. The new combined airline was expected to have over half of the market share in Shanghai, the financial hub of China. In March 2012 it was announced that China Eastern was forging a strategic alliance with the Qantas Group to set up Jetstar Hong Kong, a new low cost airline to be based at Hong Kong International Airport, which would commence operations in 2013. China Eastern would hold a 50% stake in the new airline, with the Qantas Group holding the other 50%, representing a total investment of US$198 million. However, in June 2015, the Hong Kong authority refused to issue operating license to Jetstar Hong Kong. China Eastern and Qantas subsequently announced the end of the investment. On September 9, 2014, China Eastern was introduced the new logo and new livery. The airline announced a 25% fall in earnings for 2014 from their net profit of 2.38bn Chinese Yuan in 2013. It commented that tougher competition from low-cost airlines and a newly launched high-speed rail network is affecting profitability. In 2015 the airline entered a partnership with Delta Air Lines in which Delta will buy a 3.55% share in China Eastern for $450m. A China Eastern Airlines Airbus A330-300 shortly after departing Sheremetyevo Airport in 2011. China Eastern Airlines was the first Chinese carrier to place an order with Airbus. The backbone of the fleet is the A320 series, which are used primarily on domestic flights. In 2005, China Eastern Airlines placed an order for 15 Boeing 787 Dreamliners. The airline subsequently cancelled its order owing to continuous delays, instead ordering Boeing 737 Next Generation aircraft, but placed another order in 2016, for 787-9s. On 18 October 2011, China Eastern Airlines placed an order for 15 Airbus A330s. On 27 April 2012, China Eastern Airlines ordered 20 Boeing 777-300ERs pending government approval. The airline received its first 777-300ER aircraft on 26 September 2014. In 2015 the airline announced plans to acquire a further 15 Airbus A330 aircraft for delivery in 2017 and 2018. China Eastern Airlines's frequent-flyer program is called Eastern Miles (simplified Chinese: 东方万里行; traditional Chinese: 東方萬里行). Shanghai Airlines and China United Airlines, China Eastern's subsidiary, are also parts of the program. Enrollment is free of charge. Eastern Miles members can earn miles on flights as well as through consumption with China Eastern's credit card. When enough miles are collected, members can be upgraded to Elite. Elite membership of Eastern Miles can be divided into three tiers: Platinum Card membership, Gold Card membership and Silver Card membership. Elite membership can enjoy extra privileged services. After the merger with Shanghai Airlines, China Eastern Airlines signaled that it would combine the two carriers' cargo subsidiaries as well. The airline's new subsidiary cargo carrier, consisting of the assets of China Cargo Airlines, Great Wall Airlines and Shanghai Airlines Cargo, commenced operations in 2011 from its base in Shanghai, China's largest air cargo market. China Eastern Airlines signed a strategic co-operation framework agreement with Shanghai Airport Group, which controls both Shanghai Hongqiao International Airport and Shanghai Pudong International Airport. The airline will allocate more capacity to Pudong Airport to open more international routes and boost flight frequencies on existing international and domestic trunk routes. On 15 August 1989, an Antonov An-24 operating a flight from Shanghai to Nanchang crashed on takeoff due to an engine failure, killing 34 of 40 people on board. On 21 November 2004, China Eastern Airlines Flight 5210 from Baotou to Shanghai, a Bombardier CRJ200 small passenger jet, crashed in Inner Mongolia one minute after departure, killing all 53 occupants. In March 2008, pilots of 21 CEA flights returned their aircraft to the airport of departure, citing various reasons for doing so, as part of a union contract dispute. 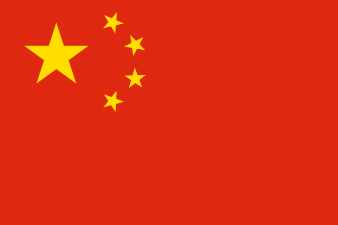 In retaliation, the government removed the carrier's rights to a range of services in the southern China province of Yunnan. 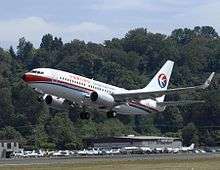 In late October 2008 Chinese media reports indicated that the carrier would shortly be able to resume flights to Dali, Kunming and Xishuangbanna Prefecture . On 7 June 2013, China Eastern Flight 2947, an Embraer EMB-145 flying from Huai'an Lianshui Airport to Shanghai Hongqiao International Airport veered off of runway 18L at Hongqiao Airport during landing. The plane came to a stop on an adjacent taxiway with its nose gear collapsed. No passengers or crew suffered any injuries; however, the plane received substantial damage. On 1 May 2016, China Eastern Flight MU5443, an Airbus 319 flying from Chengdu to Kangding, had an aborted landing during bad weather at the high altitude airport. The aircraft hit the ground outside the runway and destroyed the approach lights, almost causing a serious crash, with damage to the tail, tires and landing gear. The aircraft safely returned to Chengdu. Two airline captains had their licences revoked and an assistant captain was suspended, after it was found that the co-pilot was seated in the cabin while the assistant captain was in the cockpit. The high altitude airport requires two experienced captains to be at the controls. On 11 October 2016, China Eastern Airlines Flight 5643, an Airbus A320, was involved in a serious runway incursion incident during takeoff from Shanghai Hongqiao International Airport. The aircraft was cleared for takeoff from runway 36L for a domestic flight to Tianjin. As it was accelerating down the runway, China Eastern Airlines Flight 5106, an Airbus A330-343 entered the active runway via taxiway B3. The aircraft had just landed on runway 36R after a flight from Beijing and had reportedly been cleared to taxi to the terminal. It left the runway via B3, crossed taxiway Bravo and entered the active departure runway via taxiway H3. This crossing is located 2110 meters from the threshold of runway 36L and 2400 meters from the point where the A320 commenced takeoff. The A320 was accelerating through 110 knots when the crew noted the A330 entering the runway. The crew selected TOGA thrust and continued their takeoff. The aircraft rotated at about 130 knots and climbed over the A330 with a separation of just 19 meters. A movie named "Crash Landing" was made by Shanghai Film Studio, based on the incident of China Eastern Flight 586. The airline name was eliminated, but the livery of the aircraft is recognizable. China Eastern Airlines appears frequently on the Japanese air traffic control video game Air Traffic Controller. 1 2 3 4 5 "Form 20-F China Eastern Airlines Corporation Limited". sec.gov. 2012. Retrieved 2013-09-13. ↑ "China Eastern Airlines Corp. Ltd. (CEA)." Yahoo! Finance. Retrieved 2009-10-03. 1 2 "Directory: World Airlines". Flight International. 3 April 2007. p. 64. ↑ Cantle, Katie (23 June 2011). "China Eastern becomes 14th SkyTeam member". ATWOnline. Retrieved 2011-10-17. ↑ "China Eastern Airlines Co Ltd. – 2012 Annual Results Announcements" (PDF). irasia.com. 26 March 2013. Retrieved 2013-09-13. ↑ "SIA, China Eastern Airlines announce strategic tie-up". Channel NewsAsia. 2 September 2007. Retrieved 2007-09-02. ↑ "Singapore Airlines, Temasek sign China Eastern deal". Channel NewsAsia. 9 November 2007. Retrieved 2007-11-09. ↑ "Cathay Pacific to try and block Singapore Airlines: report". Agence France-Presse. Channel NewsAsia. 22 September 2007. Retrieved 2007-09-22. ↑ "BBC 中文网 - 服务专区 - 纯文字页". BBC News. Retrieved 2012-04-28. ↑ Markets (24 September 2007). "Cathay Pacific abandons China Eastern plan". London: Telegraph.co.uk. Retrieved 2012-04-28. ↑ Dyer, Geoff (6 January 2008). "/ Companies / Transport - Air China pursues China Eastern stake". Ft.com. Retrieved 2012-04-28. ↑ Anderlini, Jamil (8 January 2008). "Shareholders reject Singapore Air offer". FT.com. Retrieved 2008-01-08. ↑ "China Eastern Airlines announces detailed merger plan with Shanghai Airlines". News.xinhuanet.com. 12 July 2009. Retrieved 2012-04-28. ↑ "China Eastern Airlines and Qantas announce Jetstar Hong Kong". Jetstar Airways. 26 March 2012. Retrieved 2012-03-26. ↑ "Qantas creates Jetstar Hong Kong". Sky News Australia. 26 March 2012. Retrieved 2012-03-26. ↑ "China Eastern Airlines bags temporary permit - Civil Aeronautics Board :: Philippines". Cab.gov.ph. Retrieved 2013-07-05. ↑ "China Eastern Airlines bags temporary permit | BusinessWorld Online". Bworldonline.com. 2013-04-17. Retrieved 2014-01-17. ↑ "China Eastern Airlines full year profit falls 25% on weak demand". BBC News. 27 March 2014. ↑ "East-West Partnership". Airliner World: 15. October 2015. ↑ "Profile on China Eastern Airlines". CAPA. Centre for Aviation. Archived from the original on 2016-10-29. Retrieved 2016-10-29. ↑ "Fleet Information - China Eastern Airlines". ceair.com. Retrieved 2013-09-27. ↑ "China Eastern Airlines Fleet Details and History". planespotters.net. 28 May 2016. Retrieved 29 May 2016. 1 2 3 Bloomberg News (28 April 2016). "China Eastern to Buy 20 Airbus A350 Jets, 15 Boeing 787s". Bloomberg.com. Retrieved 7 May 2016. ↑ Shih, Kai-Chin. "China Eastern 777-300ER Interior". Talkairlines. Talkairlines. Retrieved 24 July 2014. ↑ "China Eastern abandons 787 order for 737s". Flightglobal.com. Retrieved 2011-10-18. ↑ "China Eastern orders 15 A330s, drops five A340s". Flightglobal.com. 5 May 2011. Retrieved 2011-10-18. ↑ "China Eastern orders 15 Airbus 330s". Channel NewsAsia. Retrieved 2011-10-18. ↑ "China Eastern Airlines". Airliner World: 17. October 2015. ↑ "Welcome to Eastern Miles". Easternmiles.com. Archived from the original on 2012-04-28. Retrieved 2012-04-28. ↑ Cantle, Katie (30 September 2010). 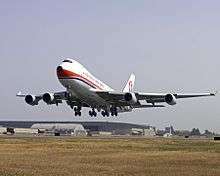 "New China Eastern cargo carrier to launch Jan. 1 from Shanghai". Atwonline.com. Retrieved 2012-04-28. ↑ "ASN Aircraft accident Antonov 24RV B-3417 Shanghai-Hongqiao Airport". Aviation-safety.net. 15 August 1989. Retrieved 2012-04-28. ↑ "ASN Aircraft accident McDonnell Douglas MD-11 B-2173 Shanghai-Hongqiao Airport (SHA)". Aviation-safety.net. 11 September 1998. Retrieved 2012-04-28. ↑ Accident: China Eastern E145 at Shanghai on Jun 7th 2013, runway excursion, nose gear collapse. The Aviation Herald. 7 June 2013. ↑ "Flight captains punished after failed landing". Shenzhen Daily (10 May 2016). Shenzhen Daily. Shanghai Daily. 10 May 2016. Retrieved 11 May 2016. ↑ "Findings on airport near miss". Shanghai Daily (October 13, 2016). Shanghai Daily. Shanghai Daily. 2016-10-13. Retrieved 2016-10-27.